Is The State Ever Liable For Automobile Accidents? 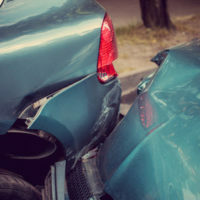 Normally, when one has the misfortune to get into an automobile accident, it happens as a result of either one’s own or another driver’s negligence, and is handled as a matter between private citizens. However, there are rare times when the city or state may wind up involved, and it is most often when there is an issue or a dispute regarding road conditions. It would be remiss to fail to investigate this possibility if you believe that poor road conditions might have played a role in your accident. One of the most important questions in determining liability in these situations is determining which agencies maintain which roads, or if there are multiple entities which might be involved. For example, the City of Orlando’s Public Works Department handles road maintenance within the city proper, so if you are in an accident in the city, on a road you believe to be improperly maintained, you would bring an action against that agency. If your accident was on a highway, the Florida Department of Transportation (FDOT) might be involved instead. There are some occasions where a governmental entity is unable to be sued, under a doctrine called sovereign immunity. In Florida, this generally only applies to counties and the state government, not cities or towns. If they wish to have such protection, these smaller municipalities tend to enact their own sovereign immunity regulations. However, Florida has waived liability for torts to a certain extent, as is the state’s prerogative. Thus, in a lot of cases, it is still possible to bring suit against the state or county, even with sovereign immunity in play. Even if a state or county agency is able to be sued, you may be unsuccessful in obtaining compensation if you do not adequately determine the direct causation of your accident. A negligence action has four parts, all of which must be fulfilled before a plaintiff can be said to have made their case: (1) a duty of care must exist for defendant toward plaintiff; (2) that duty must be shown to have been breached; (3) the plaintiff must be able to show that defendant’s conduct was the direct cause of the harm they suffered, and (4) the harm suffered must be tangible, though not necessarily physical. You as a plaintiff must generally be able to show that if the road had been in better condition, the accident would not have occurred. This showing is more difficult than most people think, as even if you can show that there was a problem with the road, you may not be able to show that the issue was the direct cause. For example, if you strike a guardrail or another car after hitting a pothole, you would have to show that the pothole caused your accident, and that the pothole was caused by the relevant agency’s failure to adequately maintain the road. Often it may not be possible to establish such a chain of causation. When the state may be liable for your pain and suffering, it can feel overwhelming to try and hold them accountable. If you need help determining what course of action is best for you and yours, asking an experienced attorney can help immeasurably. The zealous Orlando auto accident attorneys at the Hornsby Law Group are ready, willing and able to assist you. Contact us today to set up an initial appointment.